Could U.S. Survive Power Grid Shutdown? David and I could not survive more than two weeks without electricity. Could you? There are a lot of “what ifs” in life. 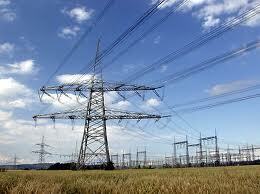 This one would be horrific should it happen … an attack on the U.S. Power Grid. It could come about by one single Electromagnetic Pulse (EMP) from a nuclear weapon or other EMP device. An EMP, according to Webster, is: high-intensity electromagnetic radiation generated by a nuclear blast high above the earth’s surface and held to disrupt electronic and electrical systems. Many vehicles wouldn’t start because of electronic fuel-injection systems. A report from the Commission to Assess the Threat to the United States from Electromagnetic Pulse Attack states: If a crude nuclear weapon were detonated between 40 to 400 kilometers above the earth, in a split-second, it would generate an electro-magnetic pulse (EMP) that would cripple military and civilian communications, power, transportation, water, food and other infrastructure. This entry was posted in Energy and tagged Electricity, Electromagnetic pulse, Electromagnetic radiation, Energy, Military, Nuclear, Nuclear weapon, United States. Bookmark the permalink.